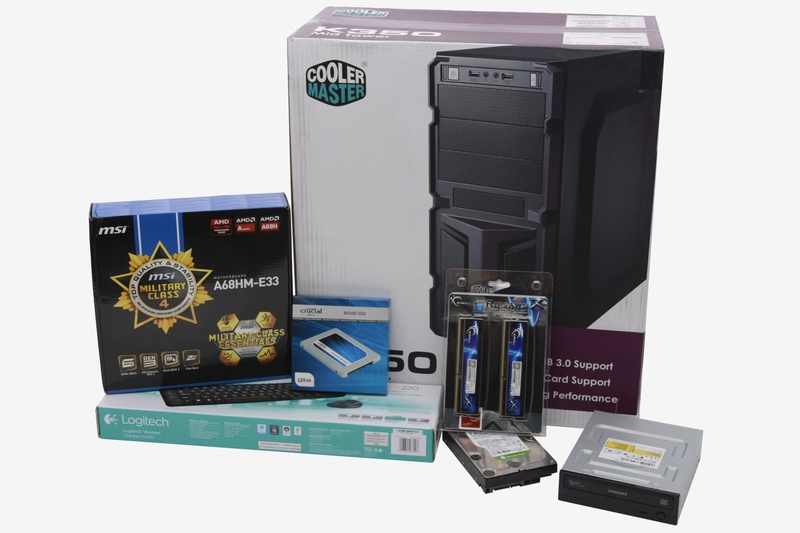 Breaking down today's best hardware across five price points, the TechSpot PC buying guide was recently updated with the latest desktop hardware as well as a budgetless Extreme Machine that effectively doubles the cost of our long-standing Luxury System. Starting from the bottom, our Budget Box scored a snappier, more efficient AMD APU along with an SSD for the first time thanks to the affordability of Crucial's BX100. The Entry-Level Rig recieved a bigger and better monitor in addition to the GeForce GTX 960, a considerably more powerful GPU than the GTX 750 Ti we recommended previously. Our Enthusiast's PC was outfitted with an even larger SSD (the 256GB Crucial MX100 to the 500GB BX100) along with a better yet more affordable chassis, while the Luxury System saw the least amount of changes -- most notably, the GTX 780 Ti was swapped for the GTX 980 which is now a cheaper option. When we laid out the Luxury System years ago, it was meant to serve as a step up from the Enthusiast's PC but it didn't always include the best PC hardware available because we avoided anything with an outrageous price premium. That's where the new Extreme Machine comes in. It isn't governed by a budget and instead we simply pick the most extreme hardware regardless of how expensive it is, such as the $1,000+ Core i7-5960X and GTX Titan X (in fact, we suggest two Titans). Now for the first time we are actually going to build each system and show you the kind of performance each price point delivers. Before we get to the benchmarks, let's look over the builds. The key component of the Budget Box we'll be watching is AMD's A8-7650K processor, though the MSI A68HM-E33 motherboard is also an important piece of the puzzle, as is the Crucial BX100 SSD if you choose that option. With a tight budget of roughly $500, we had less than $100 to spend on storage, limiting us to either a small SSD or HDD -- the BX100 120GB or WD Green 2TB. That said, if you can dig up an extra $70 and don't have a spare storage drive already, then including both would be ideal and well worth it. Above you can see the full build minus the monitor, keyboard/mouse and speakers as we were unable to acquire those components in time. Still, with all the core components included you get a good idea of what the budget box looks like. Technically, this isn't the exact case we recommended in our buying guide for the Budget Box. 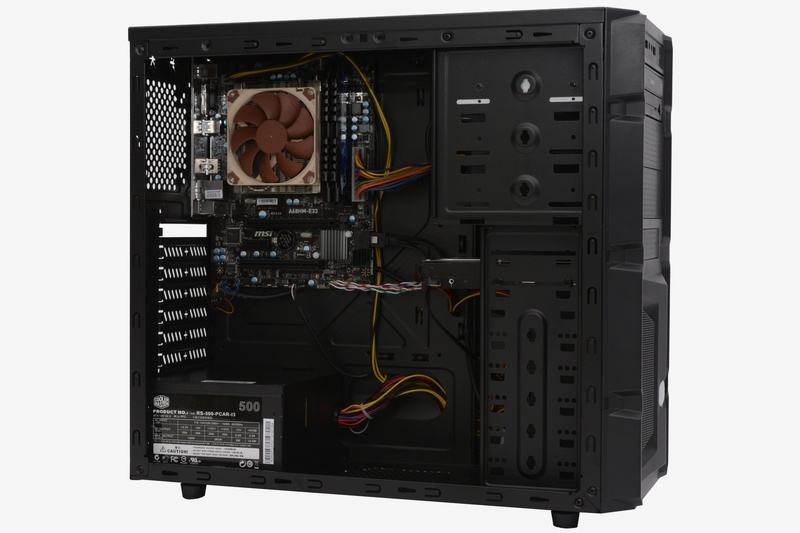 Recommended was the $60 Cooler Master Elite 350 which comes with a 500w power supply. 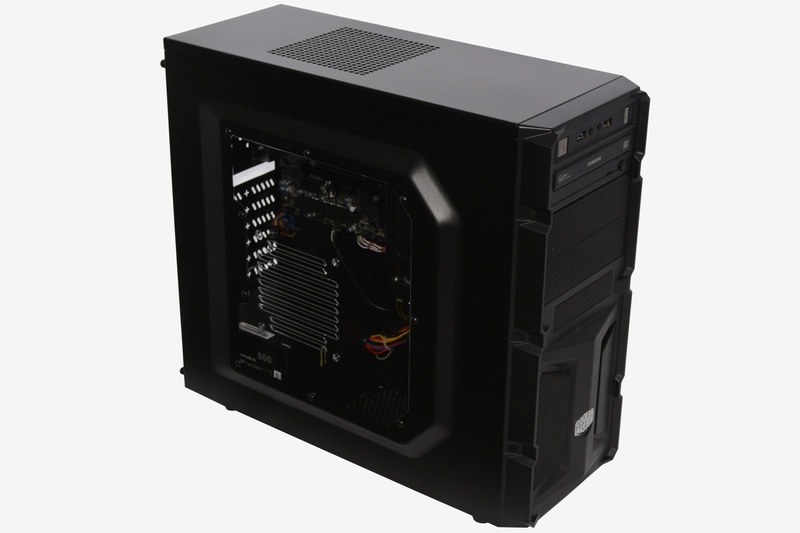 What we have pictures above is the Cooler Master Elite K350 with the 500w power supply. The K350 seems to be a slightly higher end product that costs around $80 online with the power supply.